My late (ex) father in law built the house I currently live (in Waterford, Michigan) from the re-claimed bricks from the Rialto (Howland Opera House) theater in 1953. I''m pretty sure this building was still standing in 1975. There was one low building between the theater and the Hancock Iron Works building at 52 W. Pike. All the windows were closed up with cement blocks, painted white, and someone had tried to run a disco there. Both the low building and the theater were owned by the same man. 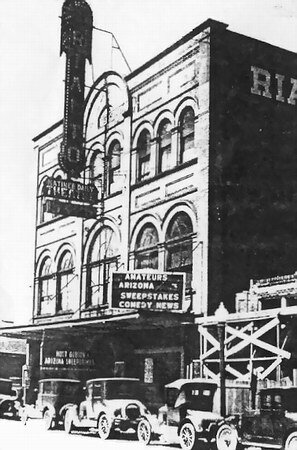 The Rialto (aka Howland) had 2 wrap-around (horseshoe shaped) balconies. Many years, prior to destruction, it was used as a fur storage facility. It was adjacent to Pontiacs renowned Pike Street Restaurant. 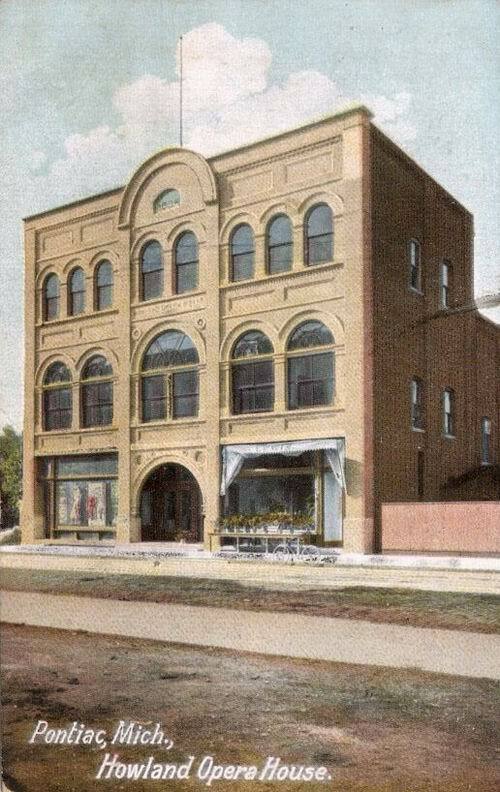 The Howland Opera House was opened on March 25, 1905, and was reputed to be state-of-the-art with new type slanting floors and an 800-pound red asbestos curtain. It cost $40,000 and seated 1100. Will Rogers played there among other celebrities. In the 1920s it became the Rialto Movie Theatre, with a seating capacity of 2600. It was torn down in 1952.